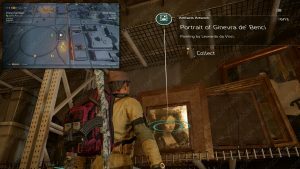 Artwork artifacts are collectibles you can find all over The Division 2’s open world map. There are thirteen to be found. They represent some of the most important artwork that can be seen in Washington DC. In the post-apocalyptic world of The Division 2 it is your task to save them from ruin. Hidden in unusual places, these collectibles are reward onto themselves. Finding all of these will require you to look into every nook and cranny. Some can’t be found if you do not discover secret side missions. To check which ones you already picked up or discovered and have not picked up yet go to the Progression menu -> Collectibles -> Artifacts -> Artwork. With this guide we hope to help you find all of these nifty collectibles. The first artwork Artifact can be found close to the White House. Go south and a bit to the east until you find the Ellipse Fuel Depot control point. You have to take over this control point from the enemy. Once you do that the supply room will unlock. Inside it you will find the artwork. Go to the East Mall region. Closest fast travel spot is the Metro Ruins control point. Get out of the Metro Ruins to the surface and then move a bit north-west. You should see a lonely shack in the park. The painting is leaning against the north wall of that building. Best to mark the exact spot you will see on the map screenshot we have bellow. Once you reach that spot you should see the building and the artwork against it. We decided to sort the collectibles the way they are sorted in the game. This means that they will not be close to each other. 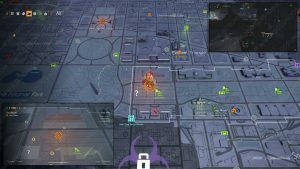 You should have all the control points and safe houses unlocked by now, so that means you can fast travel all over Washington DC. This is why our next collectible is in Downtown West zone. You should capture The World’s End control point and fast travel there because the collectible is inside the control point house. 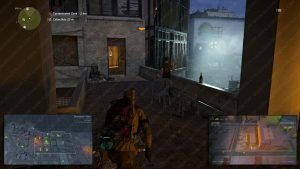 IF you fast travel and are in the supply room go east towards the other building in the control point. Painting is hanging on the wall there. Next we’ll be going to Constitution Hall by fast travelling to The Nest control point. Go east and a bit south of the control point. Collectible is found inside a building that you can’t get into via a door. It is a place where one of the side missions takes place. To enter the building you need to locate a window on the south side of the building with a yellow tarp on it. You can jump through it and enter the building that way. Interact with the door to enter a large office space. Move west until you reach a double door with an interactable keypad next to it. Go up the stairs and the painting is in the back. Locate the window with yellow tarp on it to enter the building. Inside, find the door with a switch you can interact with. Next Artwork is close by, in the West Potomac Park region. You’ll have to go underground to find it though. The closes fast travel spot is The Mast control point but I recommend you just find the spot shown in the map screenshot bellow. You are looking for a group of three underground entrances directly west of The Mast. Using the screenshot locate the southernmost underground entrance. Once under the park take the north-northeast tunnel until you reach the first flight of stairs. Painting is tucked beneath the second flight of metal stairs. Locate this underground entrance in West Potomac Park. Follow the north-northeast path and you will reach the room with the artwork. Time to visit the Foggy Bottom and The Attic control point. Collectible is in the first building east of the control point. You want to find the garage entrance in the west side of that building. You can actually interact with the big garage door and enter it. Finding the famous Vincent Van Gogh self portrait is easy from there. Just scour the garage until you spot it. Close by, in the West End zone is another control point called Overgrowth. It is part of a large building block on the corner of 1st and 24th. You need to enter the backyard behind the control point. Go along the 1st street westward and turn right into the first alleyway you see. Follow the backyard path shown on the screenshot bellow and then you should reach the artwork artifact placed on the wall bellow a huge cross. Interestingly enough the Red Dragon series of paintings, painted by William Blake, make an appearance in one of the Hannibal Lecter movies. Map shows the path you need to take to reach the artifact. It’s time to visit the first zone you explored in the game – Downtown East. You can port to the Theater and go west or go from the Demolition Site control point and then move east. It is closer to Demolition Site though. Directly across the street from the control point is a huge building block. Reach its northeast corner (on the corner of F street and 12th) and you’ll see an escalator leading down into the metro. Follow the path until in one of the corners you see a soldier doll. Painting is leaned against its base. Follow the path until you reach this festive fellow. Time to teleport to our first safe house in this treasure hunt. You want to go to The 1040 safe house in the Federal Triangle region. 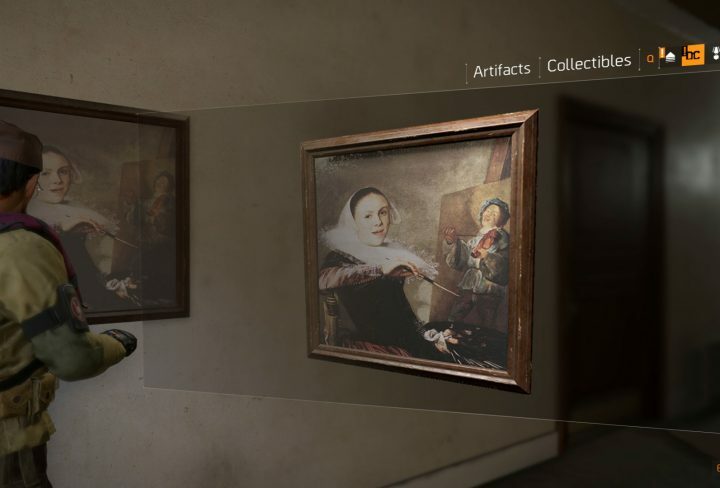 Artwork Artifact is in the same building block as the safe house. Use the north east exit out of the safe house and then go up the first flight of stairs. Once you enter the yard you should see the ladder to the right. Use it to climb up to the rooftop. There’s a window you can use to enter the building. Painting is in the little hallway there. Using the NE exit out of the Federal Triangle safe house you should come across this ladder.